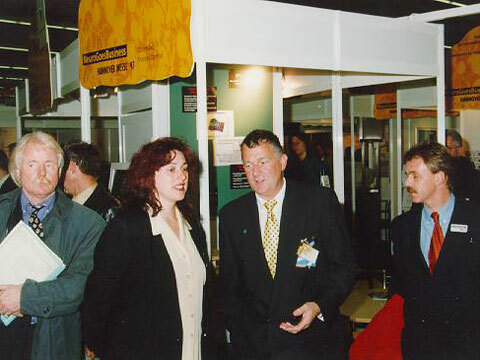 Arno A. Evers with Monika Griefhahn, former Minister of Enviroment of Lower Saxony. 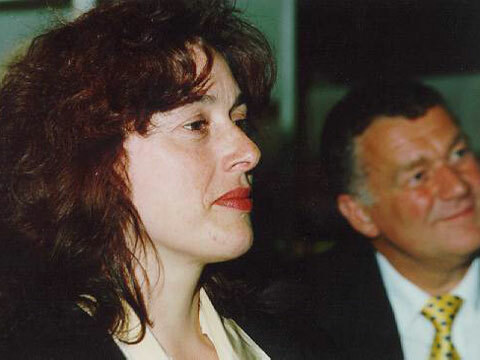 Monika Griefhahn, former Minister of Enviroment of Lower Saxony. 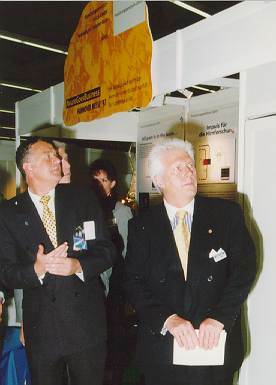 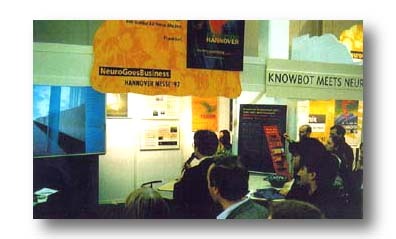 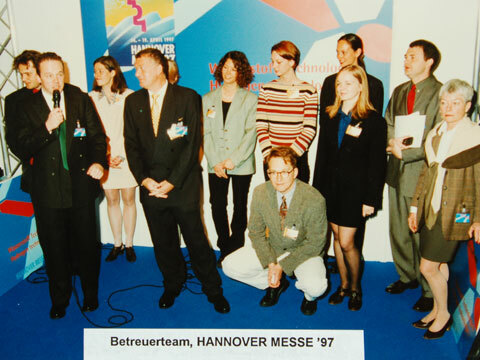 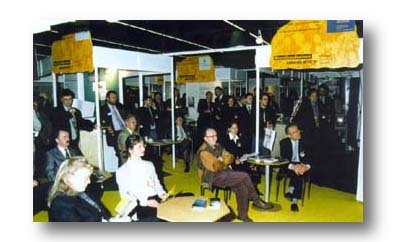 The complete Team of Arno A. Evers FAIR-PR at the HANNOVER FAIR `97, Ulrich Walter at the microphone.